Frustration and anger aren’t only reserved for adults. As simple and carefree as childhood might appear to us now (hindsight is 20/20, after all! ), being a kid can be a truly stressful and trying experience at times. As children learn how to cope with and navigate their feelings, equip them with the proper tools to do so healthily. Stress balls and stress toys can be a great way for children to express their rage and frustration without harming anyone or anything. Something squishy made to relieve negative feelings is useful for anyone at all! But we think your little one will especially like the stress toys we’ve collected for them below. And if you want to give them a squeeze now and then, we won’t tell. Our research team has recently added two new products to our list. We know it’s important that you find a quality toy and one that won’t break easily or be unsafe, especially when tempers are already running high. We think you’ll love what we’ve got for you this year! What first was marketed as a way for busy business executives to relieve stress has now been found to be beneficial to children, particularly those who become easily frustrated or anxious. We have recently updated our list of the 10 best to include a number of new options. In addition, we have reviewed all relevant product information such as materials, sizes, age ranges, availability and cost, for accuracy. 9. Neliblu Why Worry? Be Happy! These egg-shaped balls are popular for people looking for stress relief and also to exercise their hands. The shape makes them a perfect fit for various positions on the hand including in palm and between fingers. They’re one of the most versatile on the list. Made by the Friendly Swede, these are non-toxic and have a gently textured exterior. Since they know that resistance levels aren’t always easy to determine before purchasing, they included three variations in the set. They are 5.8 cm in length and have what we’d call a medium resistance. As an example, they can’t be completely compressed like a foam ball. The quality of these is similar to what you’d expect in a therapeutic setting. These stress balls have the shape and resistance that is great for building strength. They’re constructed to be stiffer than others on this list which makes them ideal for children who would benefit from increased hand/wrist strength. It’s that same firm resistance level that makes them a great choice for teens that are looking to relieve stress with a squeezable, handheld ball. One thing that sets these apart from others is the high quality material they’re made of. The thermoplastic rubber never releases toxic chemicals. This is especially important since this list is for children’s products. We appreciate that even if they were exposed to heat they would remain intact and safe. Perhaps the most comfortable stress ball, this Serenilite Hand Therapy Stress Ball has a gel core that’s also tear-resistant, making it perfect for little kids. It doesn’t matter how rough they’re playing with their stress ball, this thing keeps on going until they’re floating on a stress-free cloud. It also doubles as a therapy ball, working hand and finger muscles to improve strength and dexterity. Kids are known for being hard on their toys and stress balls are no different. For children who do suffer from anxiety, it’s a relief to know that they have something in their hand that’s nearly indestructible. This stress ball makes use of modern technology to relieve an age-old problem: Anxiety. By doing something physical like squeezing this stress ball, kids are not only focusing on something in real life but are expending their energy squeezing the stress ball rather than worrying. Not only is it squishy--it lights up. That’s a pretty hard deal to pass up for most kids, even when they’re a little touchy or upset. The Morgan Products LED Stress Ball is a safe, compact option for your family. An outer netting makes it easy to carry around or clip to backpacks or purses. The stressball itself lights up when you squeeze it and the netting serves to turn that squishy glove into a fun bubbly shape. With so much texture, kids will have extra stimulation for their tactile senses and can enjoy the feeling of the stress toy as well as the pretty, glittery lights of it. It’s fun to look at and fun to play with; this stress ball is sure to give your little one a happy distraction from whatever it is that’s upsetting them while they calm down for a few minutes. It’s always easier to revisit conflict when we aren’t immediately caught up in it. Use this stress ball when you or your child is having a rough day and need a physical way to release some of that tension. Stress toys are easy to carry with you, inconspicuous, and provide a great outlet for any pent up frustration. A lot of stress balls feel good to squeeze but aren’t much to look at. It’s nice that this not only provides physical relief but also visual stimulation. The colors are pretty and soft, the lights look nice, and the netting makes the material bulge out in a fun, quirky way. Not only are these stress balls effective, but they’re also fun. Each color stands for the amount of resistance you’ll get with each and vary from light, medium, and full-on resistances. A child’s muscles will respond to each ball differently and can be used for various stress levels -- Obviously with the most resistance being for the highest stress days since it takes more focus and concentration to squeeze it. This is a great way for kids to improve muscle coordination as well while increasing their arm strength. Having three stress balls in one set, each with varying levels of intensity, it’s great for catering to a child’s individual stress level. By having options, they’re able to choose the correct color for how they’re feeling, thus effectively relieving their stress in the best way possible. Color-coded stress balls give kids a healthy way to manage their stress and anxiety. By being able to choose the firmness of each stress ball, they’re essentially learning how to say “this is how I feel and this is what I need today”. These fun stress balls are all modeled after emojis. This Neliblu set includes a dozen different stress toys, all meant to provide the ultimate self-regulatory therapy. Choose from fun, bright shapes, and smileys such as hearts, apples, basketballs, caterpillars, and more. This batch is vibrantly colorful and super silly. Stress balls help with muscular relaxation, as well as calming and focusing the mind. These stress toys are beneficial to all children (and adults!) but have specifically been hand-picked to help children with autism and ADHD. Backed by the company, when you buy these stress-therapy toys from Neliblu or an authorized reseller, your purchase is covered by their 100 percent money-back guarantee and manufacturer’s warranty. Squeeze those stresses away with 12 silly new friendly accessories! Stress balls help to focus energy and relieve physical as well as emotional tension. This fun variety pack is a great starter set for children learning to manage their anger and daily stresses. This variety pack gives lots of options. Not all of them are squishy, soft stress balls--some are harder plastic, some are light-up toys. They’re all great for sensory accessories, and the variety allows children to try out a few different options and gravitate toward the one that works best for them. While these stress balls start out as a fun party favor, in reality, they’re actually very effective. They’re the most traditional and are just regular foam stress balls, but can offer a ton of relief to a child who’s dealing with stress. The emoji faces are relatable to kids and make them feel a little more at ease while providing them with a laugh each time they give their ball a squeeze. There are 12 balls that come in a set so these stress balls are perfect for larger families. By having so many, your child never has to worry about losing one and always has options as far as funny faces go. Every child is familiar with those amusing emoji faces that we see all over social media and in the mall, stamped across pillows. These stress balls are a kid-friendly way to help kids express their anxiety in a healthy way. These stress balls are super colorful, but have a pretty serious mission: To help kids suffering from OCD, ADD, ADHD, and other attention or anxiety disorders. They’re perfectly safe for younger kids since they’re non-toxic and made without BPA, phthalates, and latex materials. This makes them perfect for elementary school since they’re just the right size to fit in your child’s backpack. Each pack contains three different stress balls that can help increase focus, redirect attention, and, of course, manage stress levels. If the school is where your child has the biggest problem, then these stress balls might be just the thing to put them back on course. They’re small enough to be traveled with easily and function great as a way to redirect a child’s focus by having them do something physical, leaving them with more room to focus mentally. It’s great to see stress balls being made specifically for kids because many times we don’t even realize that they feel stress, too. These stress balls will help them to cope in the most minimal way possible and are small enough to be taken virtually anywhere. Does it feel like you’ve got the weight of the world on your shoulders, sometimes? Well, take that and redirect it right into the palm of your hand, where you can squeeze the stress away with these globe-shaped Neliblu stress relief toys. They’re the perfect tool to help relieve emotional stress and discomfort, as well as relaxing tense or atrophying muscles. Stress balls are a highly prized self-regulatory therapy resource, as they allow the individual to identify when they are feeling overwhelmed or tense, and to cope with it in an easy, physical manner. These earth-shaped stress toys are great especially for young children who are learning about the world. They improve grip strength, mobility, dexterity, and fine- and gross motor skills. They’re stylish and sensible, and the set comes in bulk, so you’ll have two dozen stress toys to pass out among friends and family, or hold onto as back-up in case your child loses or breaks theirs. Squeezy, spongy, and safe for ages 3 and up, these therapeutic global stress toys help children to identify and cope with feelings of stress and anger. 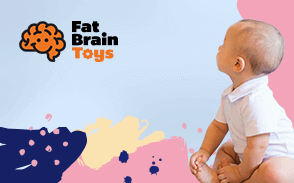 Stress toys give children an outlet in which to focus their feelings and help to relieve muscular tension by tightening and relaxing the body. It’s a fun little idea to have a squishy globe; children are drawn to patterns and shapes that they recognize. Additionally, the large head count in this set means you can use them as party favors, have replacements on hand, or designate stress toys for the car, school, various rooms in the house, etc. Your little ones will never have to go far to find one. Neliblu Why Worry? Be Happy! Another great option for younger kids! Who can be sad while looking at a smiley face that’s staring back at you with a happy expression? These stress balls are great for young kids and good to travel with since they are a smaller size. They’re foam and have much less resistance than other stress balls, making them perfect for small hands. The easy-squeeze of these stress balls really makes them perfect for all ages. They’re great to keep at school and at home since this is a pack of 24 -- That’s a lot of stress relief! The simplicity of these stress balls is not lost on us, but that’s exactly what kids need. Life is already complicated enough, so why give them a stress ball that says anything else but “happy”? Teacher Peach’s Motivational Stress Balls give you words of gentle affirmation for the moments in which you perhaps need them the most. These inspirational stress toys come with a variety of motivational sayings printed on them, such as “Focus. Listen. Breathe.”, “Yes, I can do this!”, and “Be quiet. Be calm. Be kind.” They work well as a fidget toy but are designed to be a true-blue (or pink, purple, green, teal, or red!) stress ball. They’re durable and soft, strong enough to squeeze but soft enough that they won’t hurt you. Each set comes with three balls and each ball measures about two and a half inches in diameter. These are great to have around the house, in the classroom, or to put in your little one’s backpack for wherever the day might carry them. These stress balls not only let you squeeze the tension away but they also provide little sayings to quiet, focus, and encourage you. They come in six soothing colors and are soft but durable so you can channel your frustration into a productive, safe outlet. It’s nice to have a little reminder now and then as to what to do when we feel down. These mantras can be helpful, especially to children old enough to read but young enough to still need the reminder as they work through their anger. Then again, we never really outgrow the need for that reminder, so these are great for teens and adults, too! The top reason to buy your child a stress ball is to help them relax. Whether your kid uses it as a distraction or a sensory tool, they both lead to calmness. So it makes sense that we’d only allow balls on this list that are actually relaxing to use. When stress balls first became popular they were made with pellets inside like you’d expect to find in a bean bag chair. These hacky sack-type balls were calming just to toss around. When the benefits to corporate executives became clear, the main criteria was that it allowed for the same pressure as kneading a soft dough. When deciding if a ball was calming or not we asked ourselves questions like: Does it allow compression? Is it stretchy? Have children with sensory differences found it to be relaxing? If the answer to those was “yes,” we could bet that other kids would find the ball to be calming. We also knew that though that may be the logical conclusion, children are individuals with their own preferences. At the end of the day, the real experts are the parents. So we took into consideration what reviews said and provided the kind of info on this page that we think others would need to choose a ball for their child. We know that not every child will love each ball and that’s ok because we trust that as a parent you can choose a couple to try. Giving a child a toy only to have it broken after a couple of uses is extremely frustrating. That’s why we wanted to be sure that every stress ball on this list was made with materials that are durable. Since the purpose of these is to squeeze, stretch, bounce, and push on them, they need to withstand all the ways a child may use them. So how did we come up with a way to choose only balls that are durable? Honestly, it’s one of the trickiest criteria to define. We started with the understanding that how a child uses a ball varies. Without knowing all the variables like use frequency, the age of the child, etc. we had to use logic to narrow down the materials. There are balls that had to be left off the list because although they had cool transparent features we knew those surfaces wouldn’t hold up to regular use. Some balls we added to the list since they came in a set of multiples. We figure that would help offset any frustration in case that a child wore them out. Ultimately we deferred to the wisdom of parents who’d left detailed feedback on the products. We know that if several parents have the same experience it’s logical others would as well. We believe that in order for kids to reap the benefits of a stress ball, it needs to be used. Whether any toy is used really relies on the first impression. If it isn’t immediately fun then your kid is far less likely to ever try it again. When this list was created, we knew that the kind of stress balls that are common for adults may not be suitable for kids. While what makes them fun varies, there are some universal “rules’’ that toy companies have long understood. Bright colors, expressive faces, and familiar characters are all features that would make a stress ball fun for kids. Everything on this list looks like it was made for children. To us, that’s a sign that we were able to choose the balls that your child will actually use long enough to benefit from them. Anyone that’s visited a mattress store knows that people’s preferred level of resistance varies. This list has the kind of variety you’d find at a mattress showroom. We know that finding the right resistance is crucial to your child benefitting from using a stress ball. So we included a variety from super-soft to hard. Keep in mind that your child may need to try a ball before they know that they need softer or firmer material. It was our goal to provide enough information for you to make an educated guess but we know a certain amount of trial and error may need to take place before the perfect fit is found. Q: If I buy a set of stress balls that have various resistance levels, how do I choose which to have my child start with? A: We’d recommend starting with the least amount of resistance. This is based on the fact that the stress relief really comes from the physical act of manipulating the material. It’s why the really squeezy slow-rise foam balls are popular. Q: What if my kid doesn’t show interest in the ball? A: One great way to inspire a child to use it is to do so yourself. You could also integrate the stress ball into an activity that you know your child DOES enjoy. Ultimately every child has their own preferences so trying different textures and resistance levels may be necessary. Q: How are these different than other toys? A: Theoretically, the only difference is their intended use. Balls that provide the resistance that helps kids relax and focus may even be sold in toy sections of online stores. We’d argue that they should be as fun as a traditional toy because that makes it possible for your child to experience the benefits. Q: Which balls are best for kids who still put items in their mouth? A: That’s an important question. We’d suggest choosing a ball that is too large to place in your child’s mouth. This is especially important to reduce the choking hazard. As always we suggest careful supervision and to discard any broken balls. Q: Should I buy a ball that’s small enough to fit inside my child’s palm? A: That depends on how old your child is. While we understand that a smaller ball may be your first choice, they CAN present more of a choking hazard for young children. Keep in mind that the benefit comes from the squeezing motion which can be done even if the ball is as large as your child’s closed fist. Q: If my child has low muscle tone would using a stress ball help improve her strength? A: Absolutely. The motion is commonly used in therapy for children who need help building their strength. We’d recommend asking your child’s medical experts about the size and resistance level they’d recommend, then revisit this list to purchase one that’s more likely to fit your child’s needs.